Upon arrival you will be astounded how this oasis of beauty is nestled amongst the stark contrast of the Angas Plains farming land. 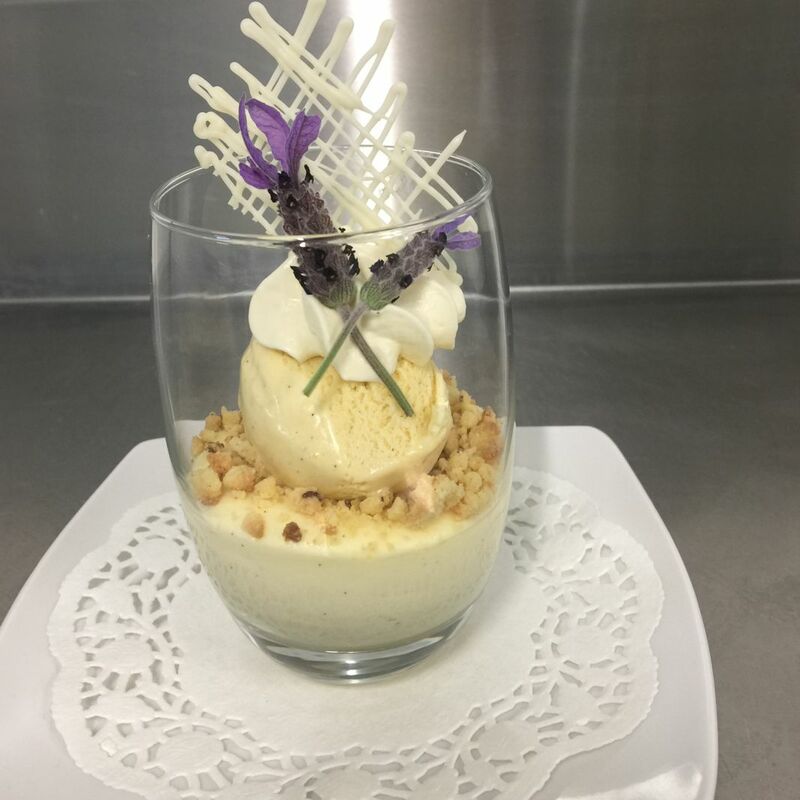 This family owned and operated restaurant and function centre is located at the heart of the Langhorne Creek Wine Region and provides a unique and memorable setting for your next meal or special occasion. 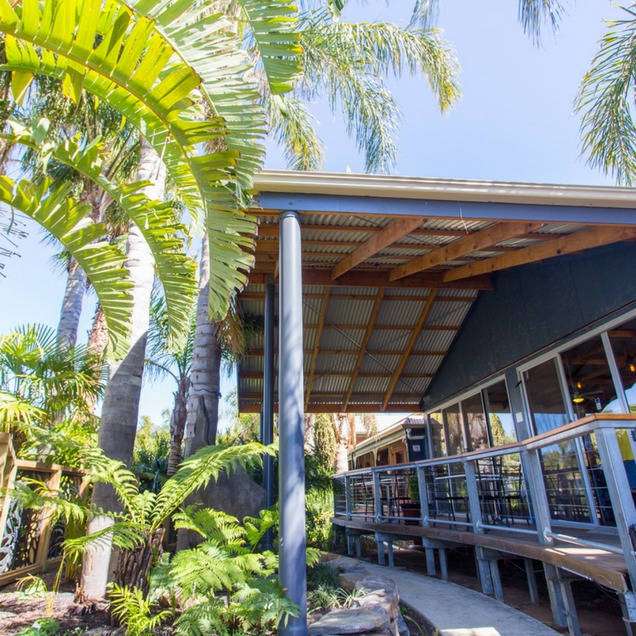 This modern function centre is surrounded by lush, fertile tropical gardens which were specifically designed to offer a place of refuge away from the busy pressures of life, and provide the perfect backdrop to any event. No matter if you are holding a small private dinner, hosting a large event or celebrating a life milestone, there is plenty of indoor and outdoor backdrop locations to choose from. In the award winning tropical gardens there is a surprise around every corner with a cascading waterfall, large picturesque pond and spacious lawn area, all surrounded by large palm trees and lush tropical plant foliage with the sounds of the peaceful rural location in the background. Imagine a gentle breeze on a summers night or a warm log fire on a winters evening. Both equally pleasant and relaxing. 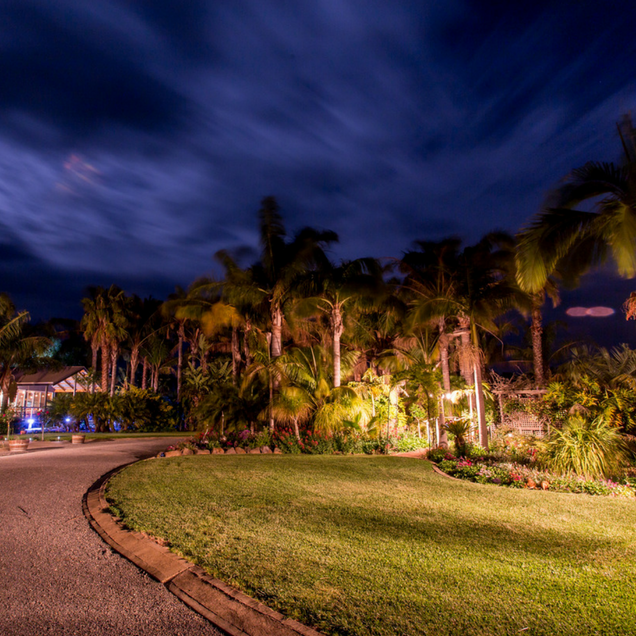 Under the shining stars, a bright moon and tasteful lighting, enjoy the magic of a tropical garden at night. Listen to the local bird life settle to sleep while the frogs in the pond croak well into the night. Have you heard of the saying “Text book eggs”? That’s what Tara, our Chef aspires to each and every time she is cooking breakfast. 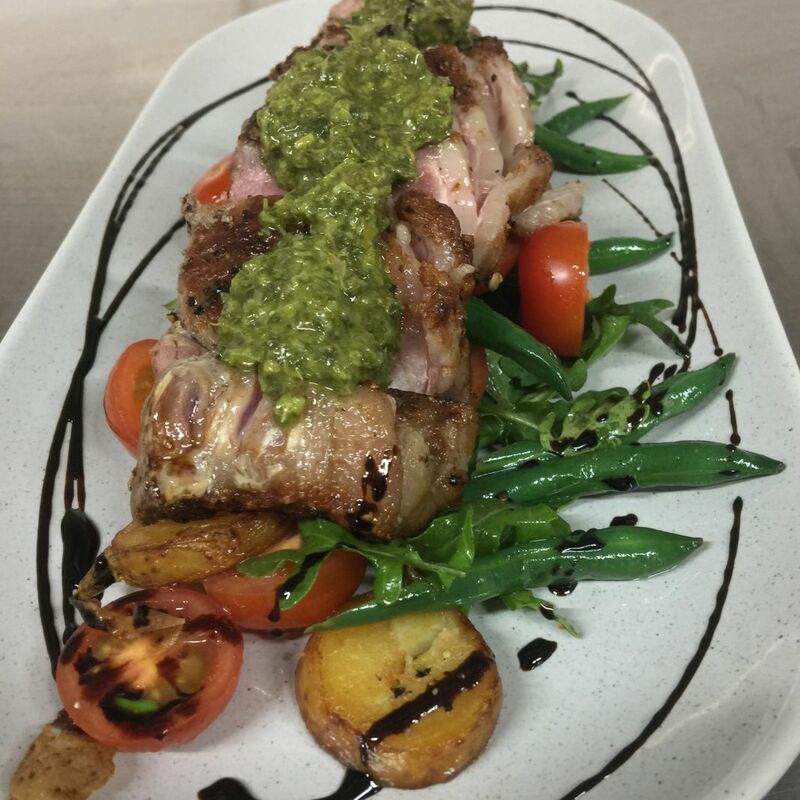 Perfection, great taste, beautifully presented and as much local produce as possible. 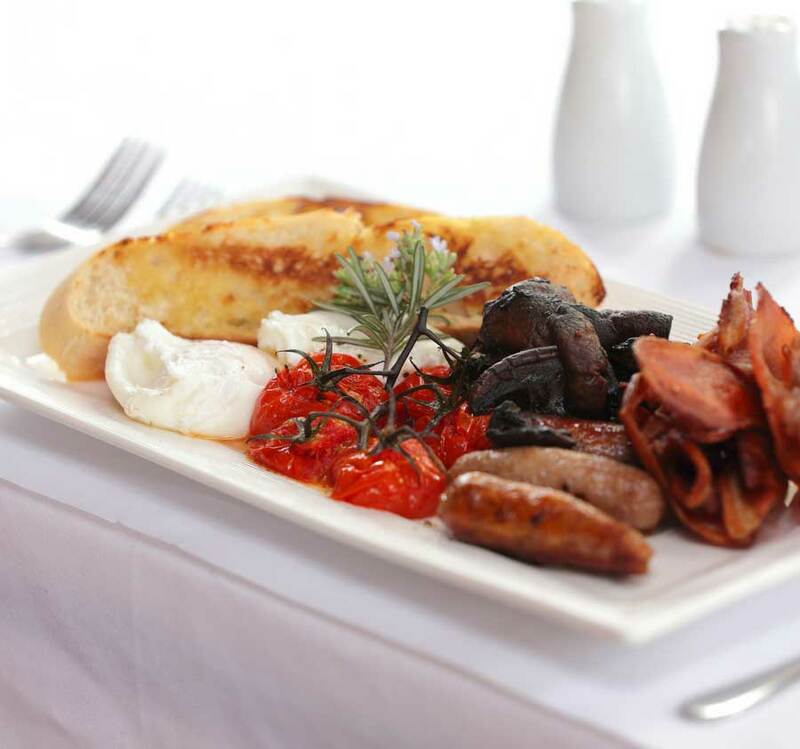 We source our bacon and chipolatas from Maidment’s Meat Service in Strathalbyn and the flavours are delicious. Free range eggs and a menu to meet a variety of food requests and dietary requirements are available. Thank you to the team at oasis gardens function for an amazing lunch today. We celebrated our sons 3rd birthday and everything was perfect. Everyone was lovely and extremely accomodating. All who attended had a great time including the kids. It is very welcoming and with a full house, our meals were served quickly and tasted amazing. See you again soon. Melissa S.
Family lunch with 2 youngsters: it can be a challenge finding a venue that meets the needs in a pleasantly appointed restaurant. Oasis does this well & with great attention to detail. Great selection on the sensibly priced main menu, & kids are very well catered for with an inclusive menu & good choices. Nicely set out tables, & plenty of good activities for children both at the table & in the play area. Service by friendly, helpful staff. Lovely grounds to wander in. Excellent venue for any type of event, from small family lunches to weddings. Plenty of parking too, & only a short drive to Strathalbyn. From 11.30am Oasis Lunches are served. Meal sizes are generous and showcase the finest produce the region has to offer. 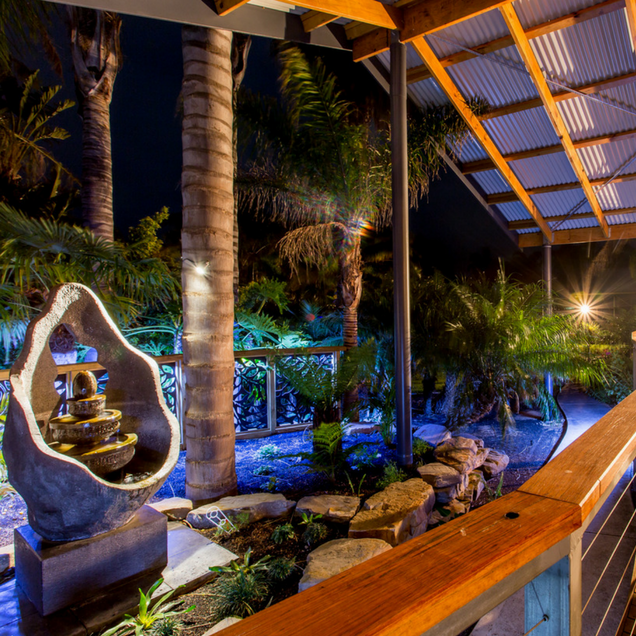 ‘The Deck’ is our fully enclosed restaurant which overlooks the magnificent tropical gardens. No matter what the season, the air conditioning and large natural wood fire keep guests very comfortable. Attending for a function to celebrate a colleague’s retirement we were presented with a lovely array of finger food that was delicious and ample in its servings. The venue is surrounded by wonderful tropical style settings that even without the winter fire going made one feel like they were located somewhere up north. The staff were very friendly and the prices were not out of this world. The food was delicious and as I have said there was plenty of it. Great night, great location will definitely return for a more formal meal. BirthdayBloke. 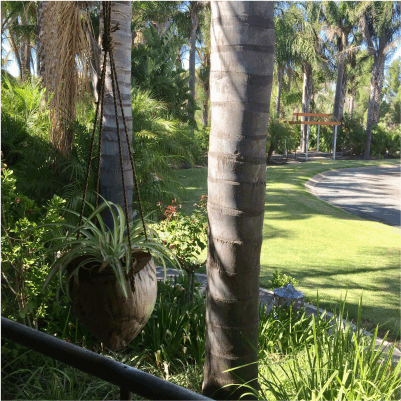 As the name implies this is a little oasis, a kind of little tropical oasis in SA. Newly opened the restaurant sets itself at the end of a beautiful lane of palm trees, hence the tropical reference! This further set off by the parrots that greet you at the entrance to the restaurant. Country feel inside the restaurant, nice log fire in the middle for cold winter days. 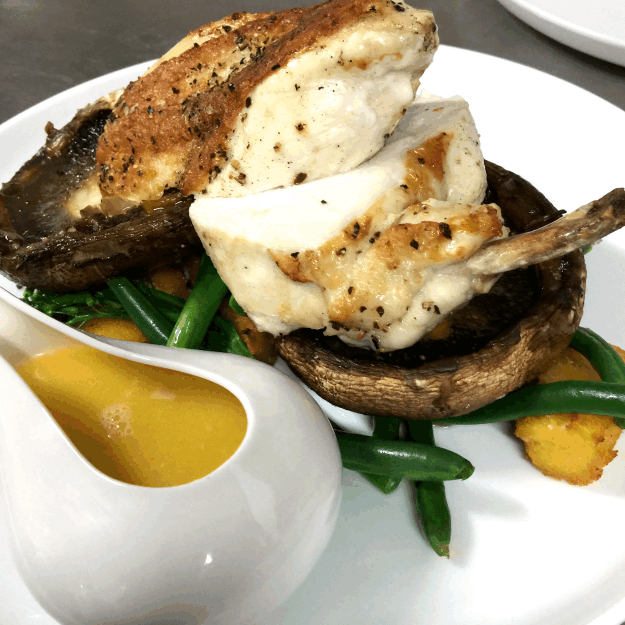 Menu is varied and caters to all taste with a distinct traditional Australian cuisine. Kids meals also offered. I had the scotch fillet steak which was served with my favourite Béarnaise sauce! Big thumbs up from me there. The steak was cooked well and not too fatty. The service was excellent. The restaurant was busy but that didn’t cause any delays. Very friendly owners who are very welcoming and really nice to talk to. I’d thoroughly recommend this restaurant for a visit. Looking forward to going back in warmer months to sit outside on the deck. Scott D.
Dinners are served from 6pm until late at Oasis. The mood is set as the “Deck” takes on a romantic look. White table cloths, flickering candles and fairy lights throughout the room add to the elegance of evening dining at Oasis. This is and amazing spot to visit. It is a family run business where you are made to feel like you are part of the family. The gardens are absolutely amazing. A credit to the Steinert family. A place will worth returning to. Food is very tasty and ample to fill your appetite. I have been there on several occasions and had a most enjoyable time. Audrey F.
Growing up in Belvidere I was a bit embarrassed that I only recently dined at Oasis Gardens Function Centre. Dinner for two on a cool Autumn night. The slow combustion heater warmed the room and set the town for a relaxed but very efficient experience. Beautiful food (Tony is still raving about the prawn cutlets on a bed of caramalised cauliflower puree) and great friendly service. Highly recommend and we will return! Janelle O. There is one thing for sure, an Oasis Dessert is not to be missed! All homemade by chef Tara, combining the most decadent flavours and textures. Sweet’n’salty sundaes, Raspberry and lime curd tarts and Dark chocolate mousse are just a few to excite your taste buds. If the decision becomes too difficult, an Oasis Dessert Platter is for you! Offering a selection of tempting individual sweet treats. What better way to enjoy quality time with loved ones?! 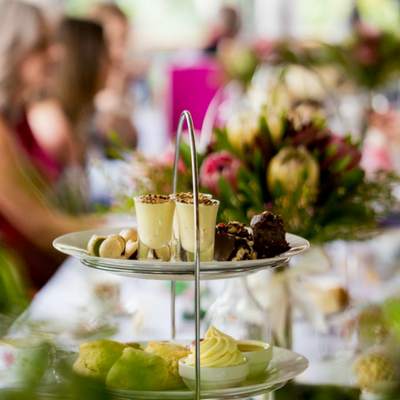 Oasis High Teas are new to our menu and offer a unique experience. Sit back and enjoy the tropical surrounds, pleasant conversation, quality sweet and savoury delights and traditional pot of tea. A great way to celebrate bridal showers, baby showers, birthdays and special events. Bookings essential. Every Thursday night we’ll be cooking Gourmet Wood Fired Pizzas. 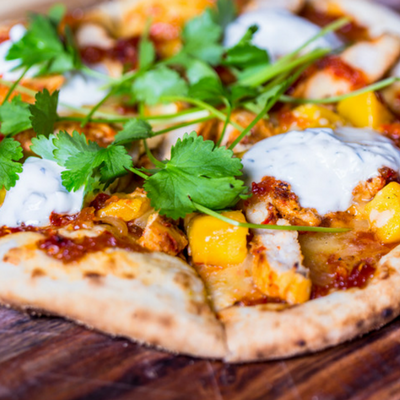 We also offer Vegan, Vegetarian, Gluten Free or Dairy Free Wood Fired Pizzas. Pizzza night is a casual dining experience and we recommend making a booking either via the online reservations form below or phone (08) 8536 4815.